The latest data on the world’s most polluted cities is out, and confirms that Asia has a major crisis on its hands when it comes to air pollution. The report, released by Greenpeace and software company IQAir AirVisual, shows that 22 of the world’s 30 most polluted cities are in India. Five are in China, two in Pakistan and one is the capital of Bangladesh: Dhaka. While India dominates the list numerically, Bangladesh is actually the world’s most polluted country on average when weighted by population, followed by India and Pakistan, The New York Times reported. The report looked at 2018 air quality data assessing levels of particulate matter PM2.5, a particularly dangerous form of air pollution that has been linked to a growing number of health problems from pneumonia and heart disease to dementia and diabetes. The report assessed 3,000 cities and found that 64 percent of them had PM2.5 levels higher than World Health Organization (WHO) safety guidelines, according to The Guardian. Every city in Africa and the Middle East exceeded the guidelines, as well as 99 percent of South Asian cities and 89 percent of East Asian cities. The study estimates that air pollution will cause seven million early deaths next year, CNN reported. The report indicated that China was having some success in its war on pollution. PM2.5 levels fell around 12 percent for the Chinese cities listed in the report between 2017 and 2018, The New York Times reported. India, however, has had less success. 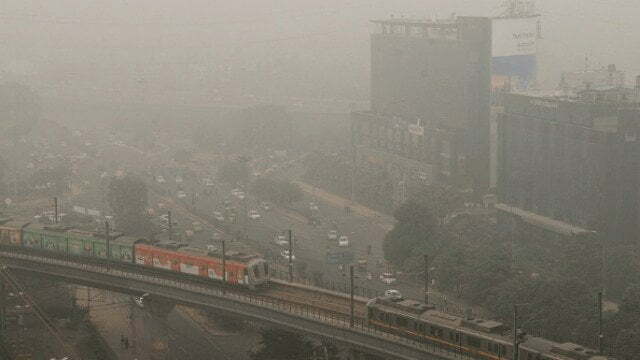 Its cities’ pollution levels saw relatively no change between the two years.